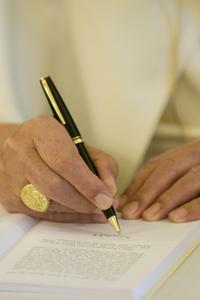 The Pope issued the Motu Proprio which introduces some changes in the procedures governing the conclave. 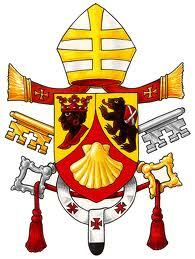 This Motu Proprio published by the Pope is called: "Norma nonnullas." 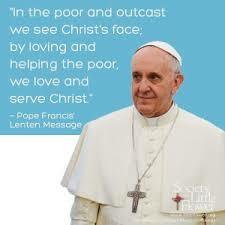 The text allows cardinals to anticipate the start of the conclave. "I order that, from the moment the Apostolic See is lawfully vacant, you should wait for fifteen full days for the absent before the Conclave, however, leave the College of Cardinals may anticipate the start of the conclave if it results in the presence of all the Cardinal electors, as well as the right to extend, if there are serious reasons, the beginning of the election for a few more days." 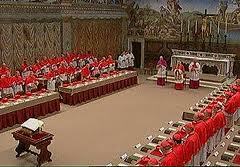 With regard to the duty of secrecy on the election of the Pope and the excommunication for anyone who violates it, now this sentence for the offender enters the oath of the Cardinals, and it is expressly indicated. The Scottish Cardinal Keith O'Brien, the most 'Catholic prelate in the United Kingdom that had to participate in the conclave decided to resign. He took his decision after allegations of 'inappropriate behaviour'. "I will not participate in the conclave," announced the same O'Brien, "I do not want the media attention in Rome to focus on me, but on Pope Benedict XVI and his successor." "Looking at my years of ministry, for the good things I have been able to do, I thank God for the failures, I apologize to those I have offended," said the cardinal. The resignation will take effect immediately. The Archbishop of St. Andrews and Edinburgh, known for his intransigence against homosexuality, has been accused by three priests and a former priest, who reported that they had been, since 1980, the subject of his 'advances' . Prosecutors had demanded the immediate resignation of it to prevent him from attending the conclave, where, in theory, he could be elected to the Chair of Peter. 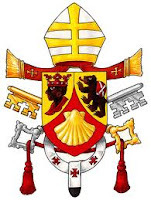 Benedict XVI received in audience this morning at 11:00 the three cardinals of the committee of inquiry to shed light on the Vatileaks case, Spaniard Julian Herranz, Slovak Jozef Tomko and Italian Salvatore De Giorgi. The results of the investigations conducted by the Commission on the issue of the leaks and confidential documents, with dozens of interviews with personalities of the Roman Curia, are contained in two files delivered to the Pope in July and December last year. 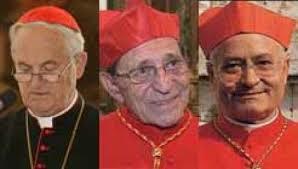 There has been talk in recent days, in view of the Conclave, the possibility that the Pope decides to submit the College of Cardinals to discuss these reports of inquiry.